And if you’re interested in Amazon and want to learn some pretty good statistics abt the items you’re selling, use Junglescout. neat.
.@mercer_greg Just wanted to thank you for creating Jungle Scout. Using it a lot in the past week and have already found some great items. Jungle Scout is the key to my success. 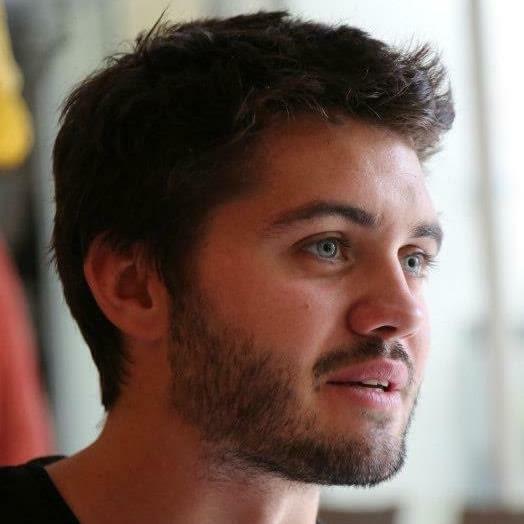 I spend a lot of time researching “THE” product and JS has allowed me to save a lot of time. I found my product randomly because the JS Extension extracts all the data on a page, and I didn’t notice that product on that page (it was in the “recommended product section”). I then used the Web App to check if the product has constant sales, and decided to launch my own with some improvements. 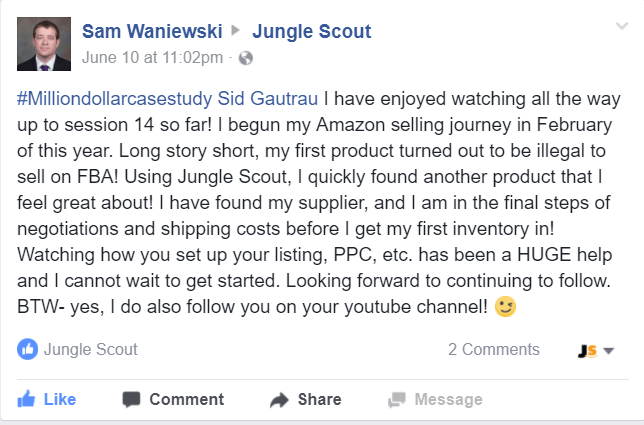 Jungle Scout helped me quickly find a product to sell that I would have never thought of, I didn’t even know people bought this type of product. 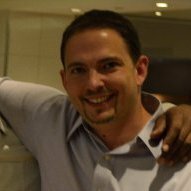 For the chrome extension it made it much easier for me to filter through ideas I came up with on my own and it probably saved me from going into a product line (mens socks) that would have been very difficult and barely profitable. 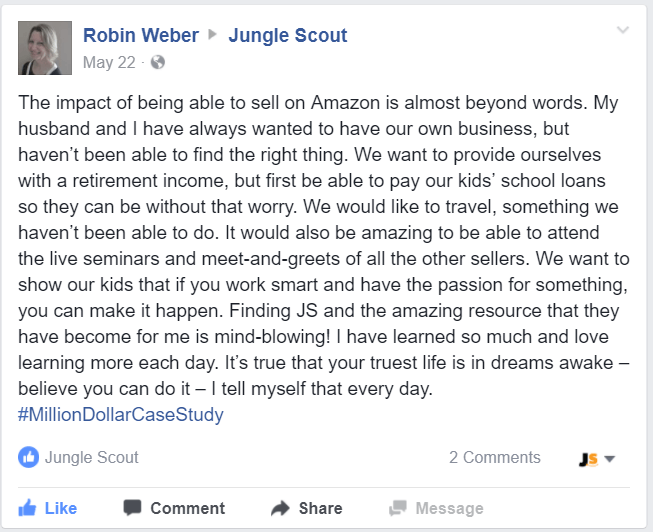 I recommend Jungle Scout to everyone I know who is looking to sell on Amazon and I think it is a must have tool. 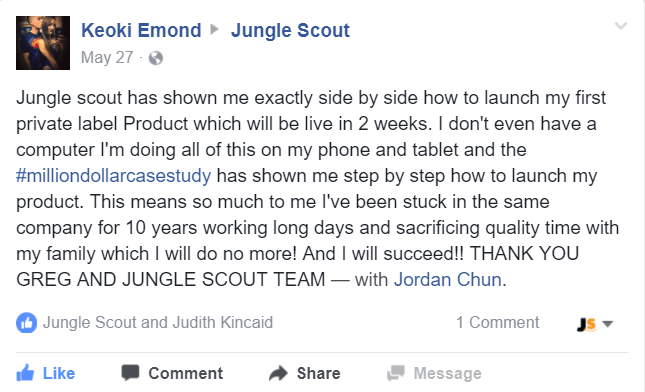 I used jungle scout to and applied your teachings to a UK listing ranked on page 1 for over three months selling between 200-250 units per month !! Jungle Scout has made me into a real business person! My private labeling business is my first profitable business and I’m only 19 years old. 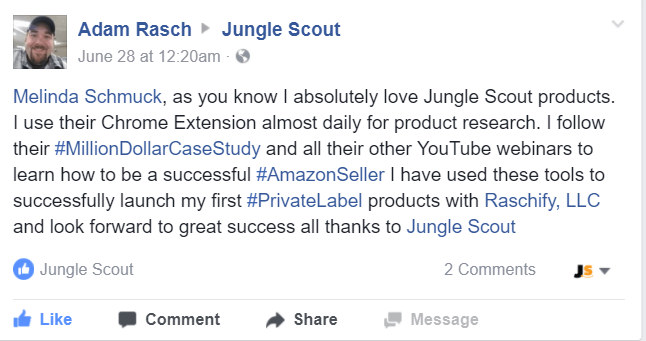 Jungle Scout makes it simple and easy to find a product to private label to get you on your road to success! Best investment I’ve ever made, you will make your money back infinity fold! The product is great, but moreover y’all are the nicest, customer service is great and I don’t feel the hard sell. I feel I can trust information from you. If it comes from Greg Mercer, whether it’s a product, tutorial, webinar, etc. it’s the good word. 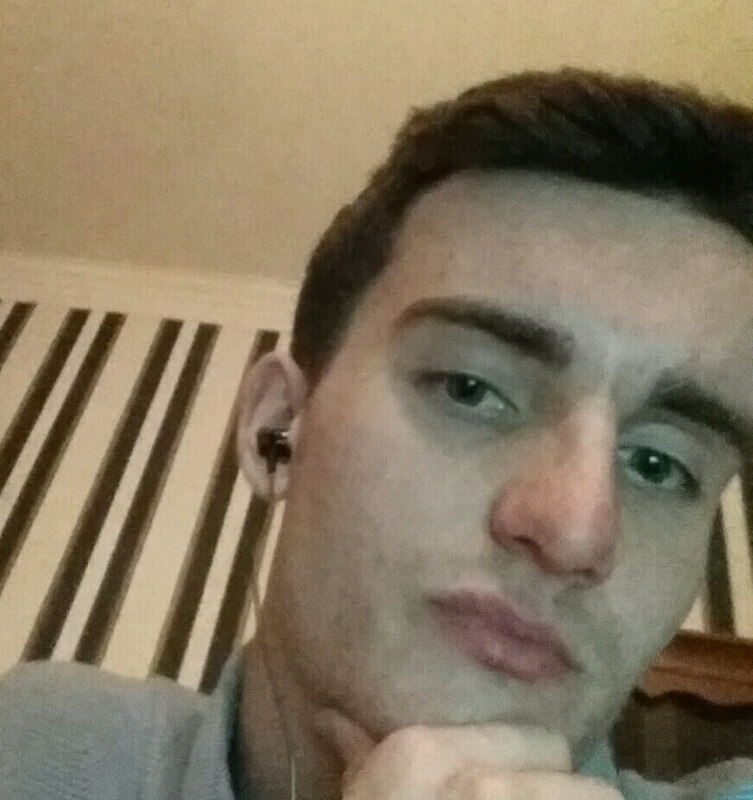 Also the video you put out earlier this year about AMZ seller’s phrases was really funny. If it wasn’t for Greg Mercer and Jungle Scout I would be a different person in a different life. Jungle Scout helped me see the seller’s side of Amazon. Jungle Scout offers a clear concise picture of keyword research broken down into a beautiful spreadsheet easily accessible by google chrome extension. In 6 months, I have managed to sell $15,000 a month with three products, without Greg Mercer and Jungle Scout it simply wouldn’t be possible. Its been my first year and at the close of 10 months I have sold a little under $300,000. Having extra income is always a good thing. I only work about 25 hours a month on this side job making in excess of $100 an hour. Granted it does take a lot of time and effort in the beginning learning the process but after that its not hard at all. Research, buy, Ship, Sell, Repeat. Greg and Jungle Scout lended the credibility to Private Label selling on Amazon that I needed to take the plunge. The browser plugin is invaluable, the best tool in my arsenal by far. 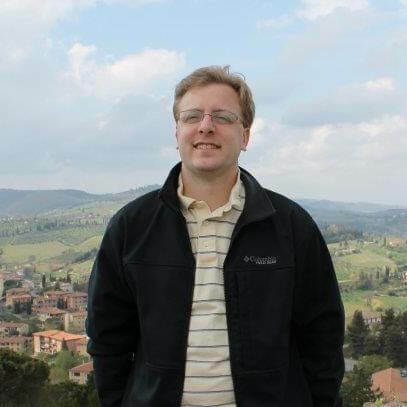 Combining the browser plugin with the Web App and Greg’s other tools like Jump Send makes starting on Amazon, even after the TOS changes, viable. 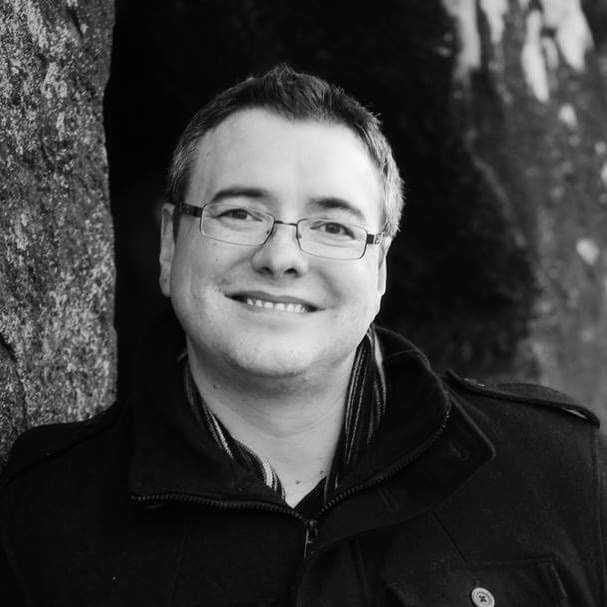 As I scale my business and sales level off I plan to leverage other tools like Splitly and Forecastly to introduce optimization and business automation! Money is not a factor when you consider paying for a Jungle Scout subscription. It pays for itself even if you do 1 search a week. A valuable tool that has saved me from purchasing goods and filling up my stores with dead stock.